A dedicated space introduced students to agriculture, business, and technology. Each year the agriculture industry gets more technological and the National FFA Organization wants to stay ahead of the curve. For Mandy Hazlett, the organization’s senior event manager, this year’s 91st National FFA Convention & Expo, held October 24 to 27 in Indianapolis, brought the convention into the future. 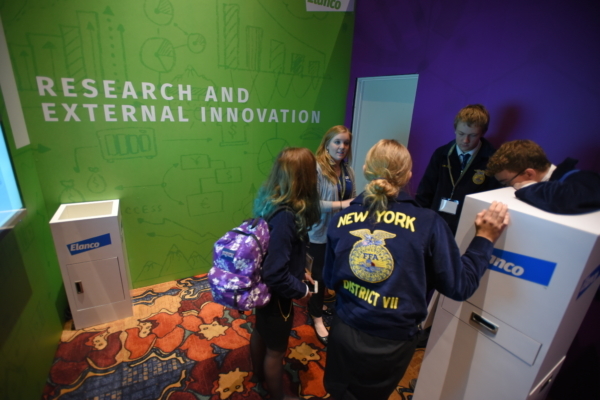 The FFA, formerly the Future Farmers of America and one of the largest youth organizations in the country, is the platform by which attendee students can explore the almost 250 careers in agriculture. 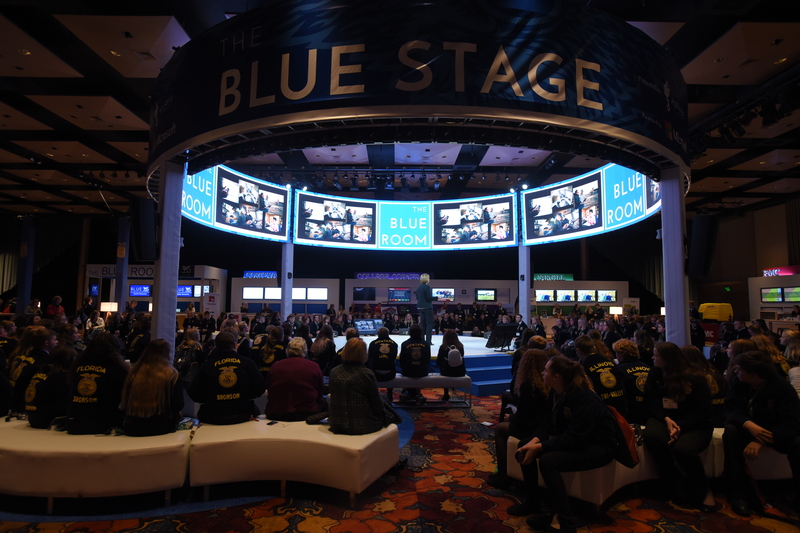 This year organizers introduced the Blue Room, a dedicated space at the conference that explored the convergence of agriculture, business, and technology. 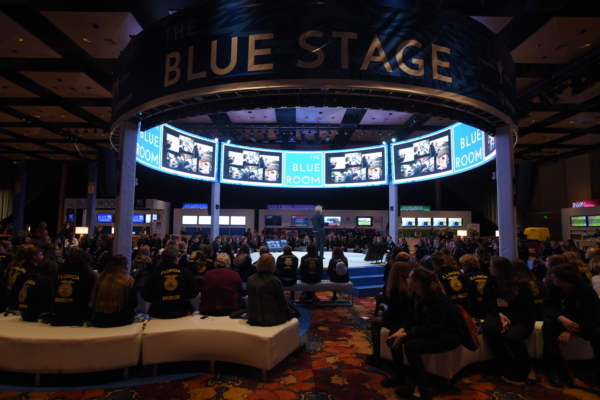 Presented by AgriNovus Indiana, an agbioscience company, and powered by Microsoft, the Blue Room covered 17,000 square feet at the Indiana Convention Center. In the main room, students could spend up to an hour and a half learning from more than a dozen companies, colleges and universities, and new companies on the so-called Start Up Street. At the Blue Stage, they could listen to speakers from companies including Amazon Web Services, BASF, and Blue River Technology. In all, 4,000 students had the opportunity to come to the Blue Room; it was so successful they had to turn attendees away. Next year, Hazlett said the plan is to increase its footprint. The space served to launch Blue 365, an online resource focusing on innovation and technology that can be used in the classroom, Hazlett said. Elsewhere at the conference, attendees could participate in competitions, educational sessions, tours of the city, and service projects.